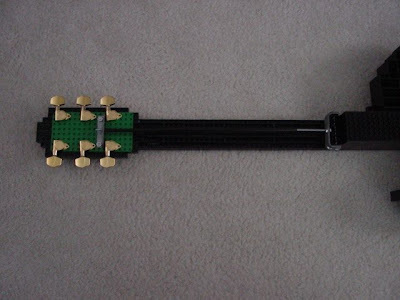 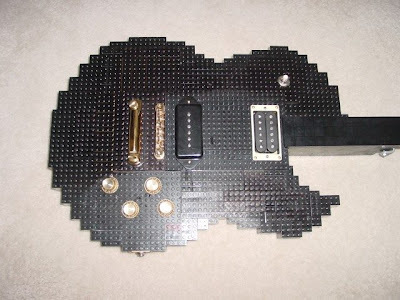 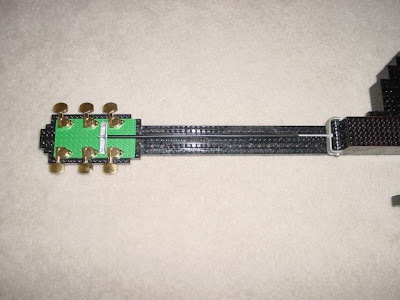 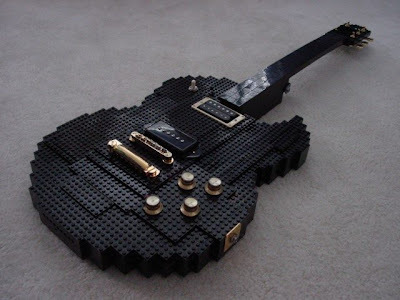 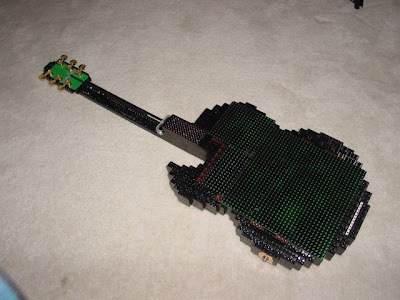 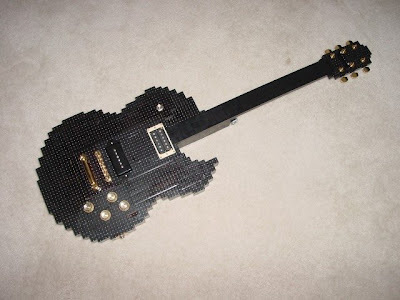 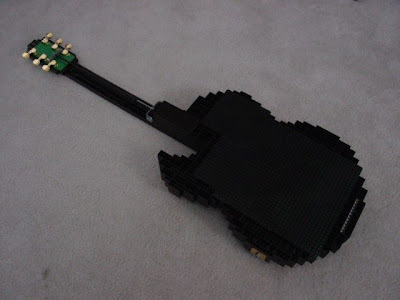 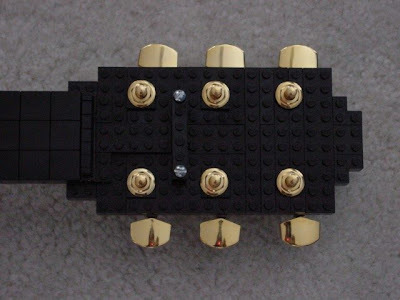 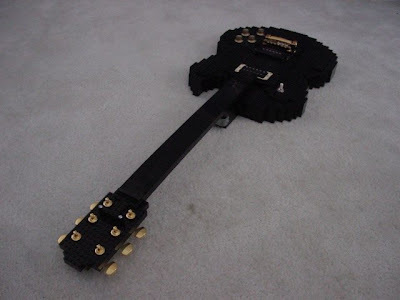 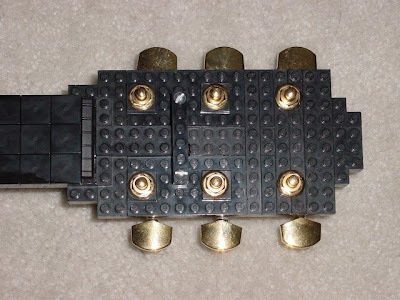 Awesome guitar constructed entirely out of Lego pieces. 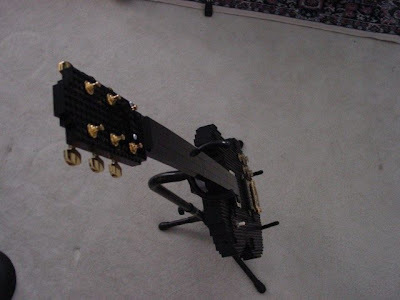 The guitar is playable but had to be re-tuned after a few chops. 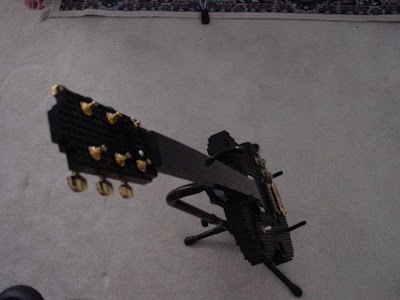 The 'truss rod' he made for the back was not sturdy enough to handle the string tension for long which is why there are no strings in the pics.